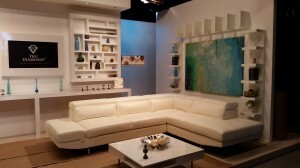 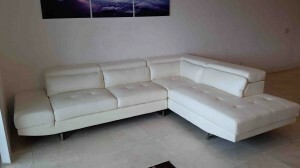 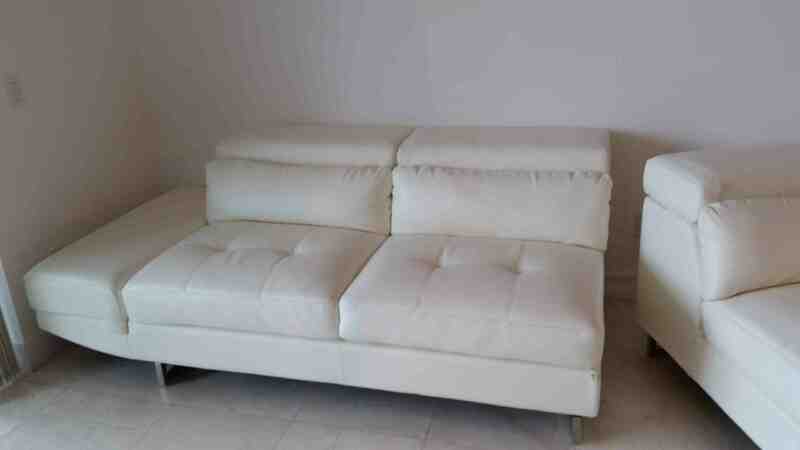 Description: White Leather Couch. 2 piece sectional. 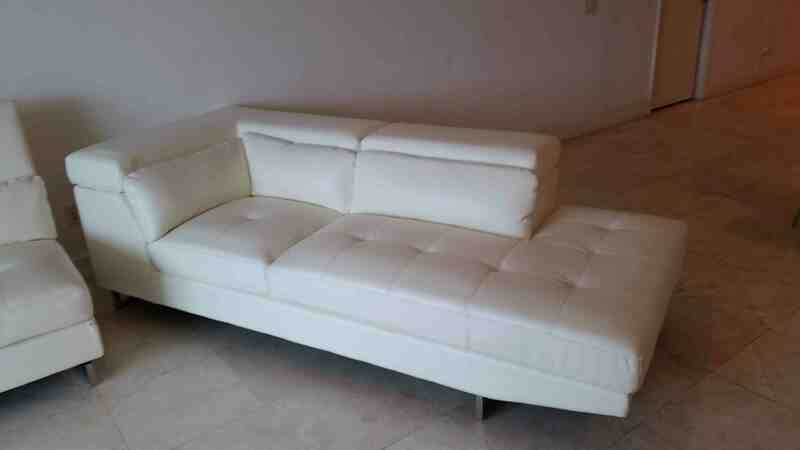 Brand new on chrome legs.